This elegant Achla Euphony Pavilion is half circle dome structure that will serve as a great focal point for any garden or other outdoor location . 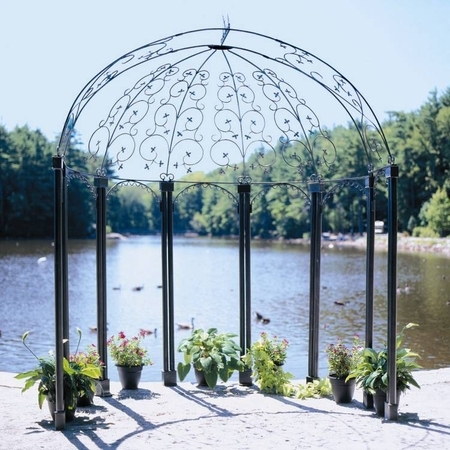 Half circle pavilion has a gracefully curved graphite powdercoated finish with fanciful whirls and decorative scrollwork that sits atop strong supports creating a frame for your outdoor space. Perfect for formal occasions like weddings and parties. Easy slip-in components; no tools needed for assembly.